Last call for anyone who is interested in coming to the District Dinner Saturday 3rd March. 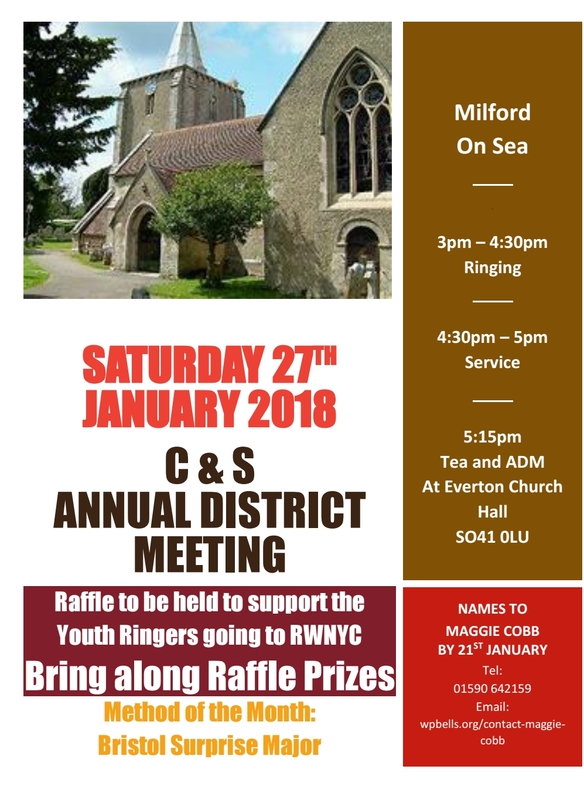 Poster here: District Dinner 2018 Contact Rosemary Rogers. District Quarter Peal Fortnight. How many people can we get ringing this year? Why not join the event on Facebook? 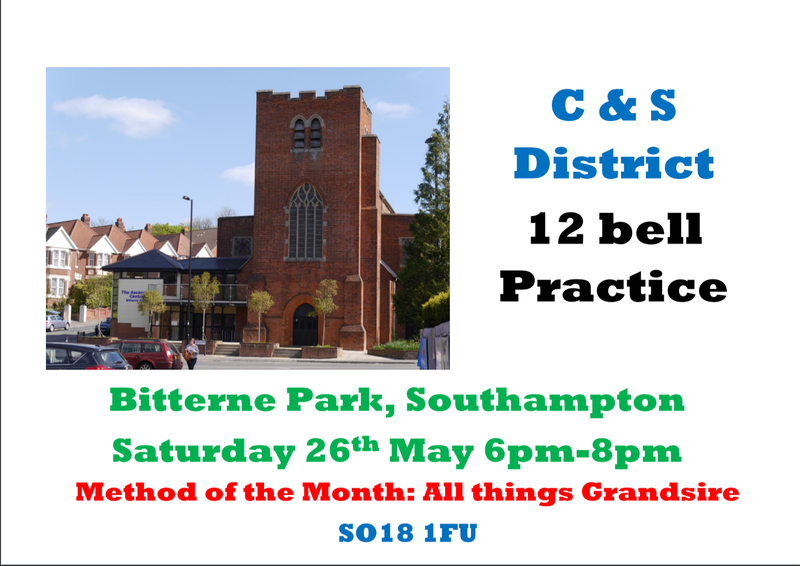 The C&S District Practice will be at Sopley next Saturday from 6pm to 8pm. As usual all standards of ringing will be catered for, from rounds and call changes upwards. There this time two special methods of the month, St Simons and St Martins doubles. February District Practice at Eling Sat 25th. Please can the conductors come prepared to call some short touches of Double Court and simple Single-only touches of Bob Minor? It’s a good practice to work on your Ringing Master skills as well – anyone want to do all or part of the job in February? Once again I am hoping to get 9+ firm replies in order to go ahead with this practice. RSVP please by Friday 17th Feb and I will send out a confirmation. I announced this exciting event at our recent district ADM. For anyone who was not able to attend, attached is a poster and an information sheet. It would be really excellent to have as many quarter peals as possible rung in the district during the fortnight, so get planning. It is my aim to keep a record on the district website of all planned attempts. You can find at the following link all the details about the peal attempts and news related to it. Any queries/comments please do let me know.